An alarming number of my past students only train or practice a few times per year. The human naturally acts based on incentives. We are wired to avoid paying money for things while seeking pleasure. For most, something about taking a class or going to the range to practice with the weapon feels prohibitive or “painful” and thus becomes a burden instead of a regular and enjoyable practice. It is true. Training and practicing with your firearm is not very cheap. You have the cost of your time (most valuable), the range fee, ammunition, gas/transportation, and of course all the upfront fees for the weapon and your gear. If you are taking a class you can add in the course cost as well. I get it. You can often get as much as 60% off the cost of your ammunition by buying it in bulk. Check out online re-sellers like BulkAmmo.com first. Be sure to factor in the cost of shipping. Also try calling your local gun shops (better to try the small guys and avoid the big-box retail chains) and ask them if they sell ammunition in bulk. Beware reloaded ammunition which is less reliable and more prone to malfunctions. If they have reloaded ammunition that comes from a respected manufacturer and includes the same warranties as factory ammunition that will probably be fine for training purposes. As we discussed in a detailed blog post, simulated at home training is not a perfect substitute for live fire training, but it sure does help and costs virtually nothing. Get a quality training weapon and find a place in the house to map out a few targets (I use post-it notes) at 10-15 feet and run a few drills for 20 minutes. No cost of ammunition, no range fee, and no transportation fee. You will be out the initial cost of the training weapon but it will pay for itself very quickly. 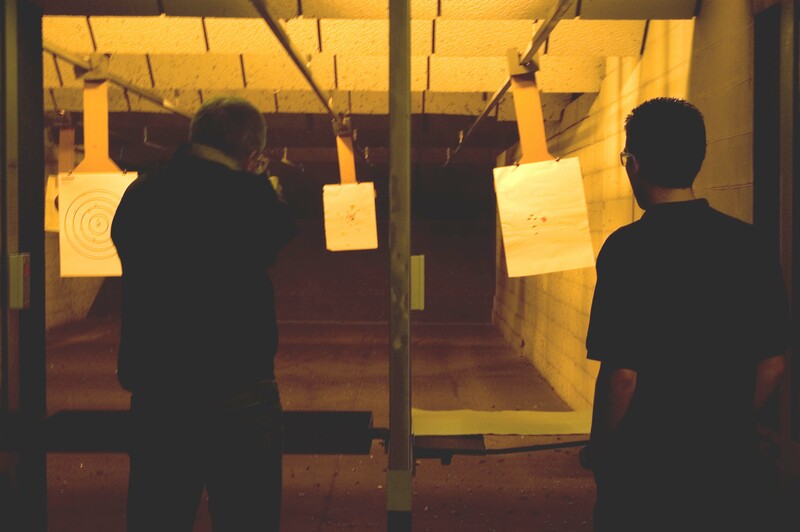 The range fees do add up but if you are truly committed to regular practice and training you can save BIG dollars by paying for an annual membership at the gun club near you. While often it is a heavy upfront cost, it removes the pain of paying a fee every time you go shooting. In fact, it acts as an incentive to go shooting as you get the satisfaction of using the membership you are paying for. What tips do you have for keeping training costs down? Let us know in the comments below. ammoseek.com is my favorite site for finding ammo deals. I’ve gone from the shooter you write about to one who shoots every week and takes classes at least quarterly. I’ve progressed from being one of the worst in my classes to being one of the best. While classes aren’t competitions I do glance at other people’s targets to remind myself of how far I’ve come. Shooting has become the activity I enjoy most and the cost has become well worth it. Shooting is no more expensive than golf or any other recreational activity. Setting aside a few hours a week for myself have done wonders for my well-being. Leave a Reply to ToddC Click here to cancel reply.